This month, Australia has recently launched a work and holiday arrangement with the People’s Republic of China and a new online visa label system. In Canada, there’s a mixed bag of news – from holds on some visa schemes to increased thresholds for other schemes. With all these changes, you could benefit from some Canadian visa advice – see who can help. Plus in New Zealand there’s great news for overseas agricultural workers seeking seasonal work, plus some handy information about what you can and can’t bring into the country. As of 21 September 2015, up to 5,000 educated young Chinese nationals per year will be able to take advantage of the Work and Holiday visa arrangement between Australia and the People’s Republic of China. The visa allows young Chinese nationals to have an extended holiday of up to 12 months in Australia, where they can undertake short-term work or study. If you’re a Chinese national visit the Australian Embassy Beijing website to see if you’re eligible. Or find out more about Australia’s working holiday visa scheme. Traditionally when you received your Australian visa, a label was fixed into your passport. However, from 1 September 2015, you’re no longer able to request and pay for a visa label. Instead, you access your visa record through the free Visa Entitlement Verification Online (VEVO) service. When you scan your passport at the airport, it’s linked automatically to this service and will let passport officials know your visa status. This change reflects the Australian Government’s agenda to make their services more accessible and convenient to their clients through the provision of secure online services. VEVO is also efficient, reliable and provides real-time information about your visa. This demonstrates Australia’s commitment to a overhauled, more streamlined and efficient visa system. More information is available at the Department of Immigration and Border Protection. Nova Scotia, on Canada’s east coast, has just announced they will be able to fast track another 300 migrant workers who qualify under the express entry visa scheme that’s aimed at skilled workers. It also means that Nova Scotia can nominate a total of 1,350 immigrants in 2015 under their provincial nominee program – almost double the previously allowed 700. Nova Scotia remains a popular choice for skilled workers. In 2014, 2,670 newcomers settled in Nova Scotia – more people than have ever arrived in the past 10 years. Nova Scotia clearly offers a lot to would-be Canadians too – Statistics Canada show a retention rate of 71 per cent for immigrants that landed in Nova Scotia between 2007 and 2011. If you’d like to take advantage of this fast track entry to Nova Scotia, take a look at some job opportunities – having a Canadian job offer may help your visa application. Or find out more about Nova Scotia’s nominee program. Due to a 10,000-application backlog, no new applications will be accepted to the Alberta Immigration Nominee Program until January 2016. However, if you’re interested in moving to Alberta, you can still apply through Canada’s express entry visa scheme. Applications to the British Columbia Provincial Nominee Program (BCPNP) Skills Immigration stream and Express Entry stream have been put on hold until early 2016, due to application thresholds being met. However, the Health Care Professional, Northeast Pilot Project and Entrepreneur Immigration streams will continue to accept applications. Find out more about the BCPNP. 29% of survey respondents (almost three in 10 employers) have jobs that have been unfilled for 12 weeks or longer. Three quarters of those respondents say this has negatively impacted upon their companies. 31% of respondents said that un-fillable job openings lead to work not getting done – with 22% saying their companies are losing revenue. With Canadian businesses feeling the pinch of a lack of skilled workers, this may be good news for skilled workers wanting to move to Canada – watch this space. By 1 June 2016, seasonal workers from overseas could find it easier to temporarily work and live in New Zealand. A new visa deal means that rural contractors can more simply bring in overseas workers to help them over the busy summer harvest season. Rural Contractors New Zealand (RCNZ) president Steve Levet estimates that the industry requires around 900 seasonal staff from overseas each year. In New Zealand there is a shortage of suitably skilled operators able to handle highly sophisticated machinery – so they look overseas for the skills they need. These overseas workers – traditionally from Ireland and England – have good mechanical skills and are already up and running, meaning they don’t require extensive training. With a less rigorous process than what currently has to be followed, under the new scheme RCNZ would apply for Approval in Principle on behalf of all its members. Then their members can apply online for a visa for the person they’re recruiting without having to meet any of the current requirements, which include having to advertise and going through Work and Income New Zealand first. No further details are available at this stage – we’ll keep you updated. If you’re not already on our New Zealand mailing list, sign up [Link to: NZ newsletter sign up] and you’ll be the first to know. Whether you’re just visiting or are coming to New Zealand permanently, there are things you need to know. For starters, do you need a visa? If you’re going on holiday, you might not – see if you need a visitor’s visa. If you’d like to work and live in New Zealand, you will – read more about NZ visas. Endangered species (without a permit). Food of any kind – this even includes any food, especially fruit, you might have picked up on the plane or coming through duty free. Plants or parts of plants (alive or dead). Animals (alive or dead) or their products. Camping gear, golf clubs and used bicycles – even muddy walking boots. Anything you declare will be examined to check it’s ok to bring into NZ. This may include it being cleaned or treated before being allowed in. The fines for not declaring any of the above are very high – and not worth the risk. For more information about what you can (and can’t) bring in New Zealand, visit the New Zealand Government website. New Zealand has always been a popular choice for skilled international workers but now, finally, the figures seem to be nearing their peak. A recent report by Westpac, a NZ bank, shows that migration to NZ is slowing. One reason that could be behind this is the approval process for a resident visa, which favours applicants who have a job offer in New Zealand. Another is that NZ’s residence approval targets remain at 45,000 – 50,000 a year, which simply has not kept up with the demand. Finally, Westpac estimated that Auckland (prime location of choice for most migrant workers) is not keeping up with the housing demand, which is under pressure from both migrant arrival and natural occupant increase. So, if you’re thinking of coming to New Zealand, make sure you consider other parts of the country before you make the move. It’s not impossible to get your metaphorical foot in the door in Auckland, but making sure you’ve ticked key boxes (like getting a job prior) will help you get ahead. We keep a lookout for recent immigration changes in Australia, Canada and New Zealand so that you don’t have to. This month discover Australia’s migration trends over the past year, and see whether you’re in demand in South Australia. Find out about two new Canadian immigration schemes, and see how a licensed immigration adviser can help with your New Zealand online visa application. 207,947 permanent migration visas were granted – a decrease of 4.2 per cent on the previous year. This included 190,000 places under Australia’s migration programme. 128,550 visas (or 67.7 per cent) were granted through the skill stream. 61,112 visas (or 32.2 per cent) were granted through the family stream. 338 visas (or 0.2 per cent) were granted under the special eligibility visa category. The place where most people moved from was India, with 39,026 places (that’s a 20.5 per cent share). This was followed by the People’s Republic of China (26,776 places) and the UK (23,220 places). Demand for the Temporary Work (Skilled) (subclass 457) visas decreased significantly. Grants for these visas fell 22.0 per cent which may be due to the government’s February 2014 review of the 457 process. Check out the full report for further details. ICT occupations – Proficient English is required in each band score (or an overall score of Proficient Plus, i.e. IELTS 7.5 overall). Engineering occupations – Competent Plus English (or an overall score of Proficient, i.e. IELTS 7 overall). The State Occupation List contains the changes to the English requirements for other occupations. The new Express Entry system for skilled migration to Canada involves creating a pool of potential applicants, who are invited to apply for a visa through a regular draw. Applicants are awarded points based on certain criteria, like their skills, experience, language capabilities, work history, etc. 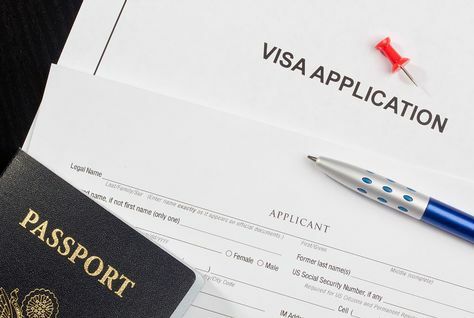 Two recent draws in June 2015 have seen the level of applicants’ points decreasing yet the number of invitations to apply for a visa increasing. This means meeting the requirements for skilled entry to Canada may be getting a little easier. Follow the links to find out more about the New Brunswick Express Entry Labour Market Stream or Nova Scotia Experience: Express Entry. This means you could benefit from expert support when it comes to completing your visa application online – and it’s one less thing for you to do.